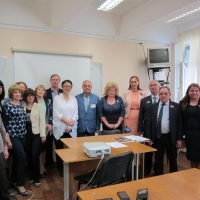 The fourth Summer school “Doing Business in Russia” was held on 3-16 July at UNECON. The aim of the school was to show foreign students special features and peculiarities of doing business in Russia. The cooperation between UNECON and the University of Bern (Switzerland) has started in 2015. 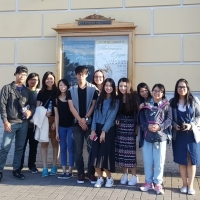 This year Swiss Summer School was organized in St. Petersburg. On 3-5 June representatives of Higher Economic School of St. Petersburg State University of Economics took part in the International conference. 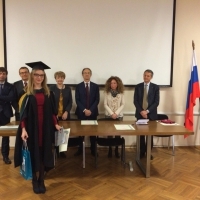 7-8 April in UNECON were held the events to mark the celebration of the anniversary of the Russian-Italian Master Double Degree Program "Economy of Enterprise, Quality and Innovations". 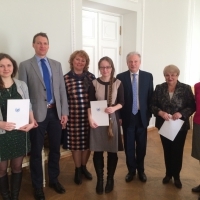 As a part of the Russian-German Double Degree Master Program "International Business Administration/Technology-OrientedManagement" an international case with Finnish University of Haaga-Helia took place. 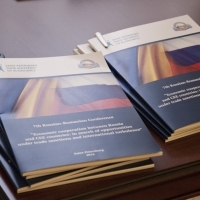 On April 1st the Tenth Anniversary of the Russian-Romanian Cooperation was opened by the scientific conference “Economic cooperation between Russia and CEE countries: in search of opportunities under trade sanctions and international turbulence”. 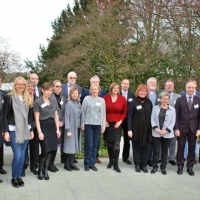 On April 7-8 representatives of the nine Baltic Sea countries gathered in Hamburg for the kick-off meeting of the new Interreg project “Baltic Science Network”. 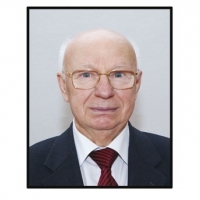 On March 31st 2016 the heart of the UNECON President prof. Dr. Leonid Tarasevich stopped beating. 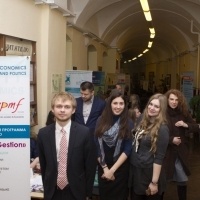 On March 16 the annual exhibition-presentation «Day of International Education» was held in SPbSUE. The Graduation ceremony for the students of the joint program with University of Hagen was held at our university on March 22.